PYO-STL Supports Nationwide Prisoners’ Strike on 45th Anniversary of Attica Uprising! This statement was issued by revolutionary prisoners at Attica Prison in the State of New York in 1971, who dared to attempt to take their destiny into their own hands, and issue democratic and revolutionary demands to the pig system that held them in chains and the masses of the world. They demanded representatives such as Huey P. Newton of the Black Panther Party, progressive Black journalists, and other progressive and revolutionary individuals and organizations for talks and negotiations to help secure these demands. The State of New York eventually decided to simply storm the prison and shoot all, guards who had been seized and prisoners alike, yet these martyred comrades and their brave struggle have lived in the memory of all true revolutionaries across the world, inside and outside prison. 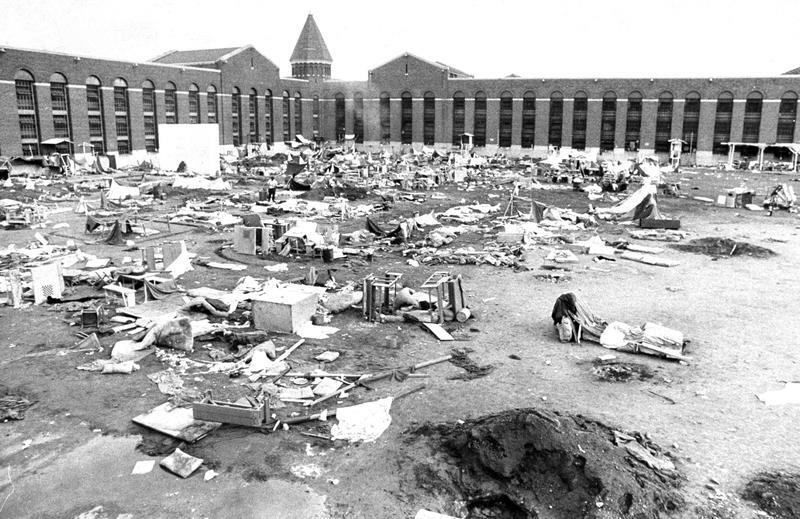 Aftermath of pig action at Attica Prison. The prisoners were brutally suppressed for demanding democratic rights and improved living conditions, and for daring to dream of revolution. More working class, black and brown people in prison, working for literal pennies an hour, means more money for private prisons and the federal government off the backs of these incarcerated comrades, many of whom are in prison for things that get the elite no punishment whatsoever. This is class and race warfare, and genocide. Women that find themselves behind bars are often raped and abused mercilessly, with little to no legal recourse. This system is designed to break down and exploit them, not to uphold their rights and dignity. Inmates with children often go for years without seeing or hearing from them, and individuals exist who have been in solitary confinement since before we were born. In Saint Louis, the city Medium Security Institution, which we call the Workhouse, is a festering, filthy hole, where guards routinely force people to fight, venomous snakes, rats, roaches, and other vermin are present in abundance, and where, interviews with those who have experienced life there and investigations have shown us, conditions are akin to a 19th century slave pen, which is fundamentally the same role that prisons have today. A system such as this can only be overthrown by revolutionary people’s war to destroy it, the seizure of state power, and the construction of a socialist system, a dictatorship of and for the working class. Under said system, those in prison will be those who hold the keys to the prisons today. A state is an instrument of dictatorship of one class over another, backed by force, and in our system the force will be directed against those who make us and our friends and families suffer so much today. Holman Prison Rebellion, March, 2016. Warden stabbed and prisoners issued demands. The prison struggle has reached a new peak in the ebb and flow of struggle in 2016, with an uprising at the William C. Holman Correctional Facility in Alabama this past March. This prison, run by an abusive warden and featured on the disgusting MSNBC program “Lockup”, was gripped by rebellion after abuse of inmates by an aggressive correctional officer, and demands for food, water, and medicine were issued, along with the release of inmates who had been incarcerated for too long, parole/amnesty for inmates who were deemed by the prisoners to be fit for release to their families, the institution of classes to prepare inmates for “reintegration to society”, money damages for psychological and physical abuse suffered while at prison, and the abolition of racist habitual offender laws that disproportionately incarcerate black and brown inmates for decades. Of course, these were demands for reforms (which obviously won’t be granted by either the reactionary and racist Alabama state government or the federal government), not for revolution, but these demands are those of the masses of people behind bars and should be supported unconditionally by all revolutionary people. As revolutionaries, we demand the unconditional release of all political prisoners such as Leonard Peltier, Mumia Abu-Jamal, and elders from the era of the Black Panther Party for Self Defense. But, we realize, also as revolutionaries, that it is fundamentally against the class interests of the imperialist United States to release these individuals just because we say so, protest, and ask nicely. A fundamental and all around overthrow of this system and the construction of a new, Socialist order is the only way that the masses targeted by incarceration under laws made by criminals will see peace. Until then, our task is to offer support, solidarity, and organize in conjunction with and on behalf of incarcerated family, friends, and comrades. 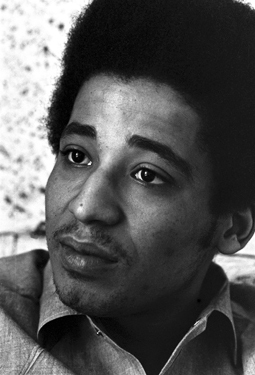 The Black Panther Party offered material and emotional support to both families of prisoners and the prisoners themselves by arranging for mass transport to maintain family and community ties, this was a pioneering example of the putting of the dictum “Serve the People” into practice, and an example that must be resurrected when able by revolutionary organizations. We respond to the call put out by comrades behind bars on April 1st of this year, where they demand “the end of prison slavery”, and go further, declaring that “we will end it ourselves by ceasing to be slaves.”, announcing a strike. These are lofty demands from a mercilessly exploited and oppressed group, comprised in large part of super-exploited oppressed nations people who work for pennies an hour to feed the empire and its corporations. They call on us, those who are fortune enough to not be in jail or prison (yet), to have their backs, and on September 9th, we and our comrades intend to answer their call. Of course, slavery and the decadent capitalist-imperialist system will never be abolished solely by the methods mentioned in the call, and certainly will not be brought down by uncoordinated and spontaneous actions. Hunger strikes, work stoppages, demonstrations, and other actions of this nature are to be used and certainly are not to be condemned by revolutionaries, but the ultimate death knell for this rotten system will be sounded only by the ultimate test and method for solving problems, which is revolutionary protracted people’s war, led by a revolutionary Marxist-Leninist-Maoist Communist Party. That being said, we are proud to answer the call of the incarcerated masses and send them a message of firm, unshakeable solidarity and fraternal greetings from outside the iron bars. We support, applaud, endorse, and stand by your September 9th action. Long Live The Attica Uprising! Long Live the September 9th Strike! When the Prison Gates Open, the Real Dragon Flies Out!